Since you have a penchant for asking questions through a list, here are a few that I would like to get answers for. Before you dismiss it or trash my letter, let me also remind you that I am one of the many 'common man' who had voted and campaigned for you in Delhi Assembly elections. Your actions of late have left a lot to be desired. I don't know where you seek your feedback from these days but as a well wisher let me tell you that your current coterie that gives you a positive feedback about your methods may prove to be your greatest undoing. Watching the overstretched love saga unfold in three hours confirms one thing - Rockstar is literally Imtiaz Ali’s “labour of love” that everyone will not enjoy. Creative film-makers who want to make money spinners walk a tight rope. On one side is their creative thirst that they have to satify and on the other there are market compulsions that need to be addressed. 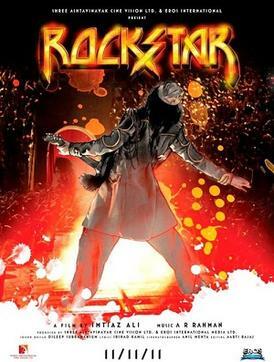 After watching Imtiaz Ali’s Rockstar, I believe the product became a victim of walking on this tight rope. The marketing hype gave a wrong impression of what the film was about. For a nation that savors trash such as Ready and Bodyguard, Ra.One shouldn’t be an untouchable. I saw the 3-D version of it and before I get into the details, let me play the Devil’s advocate and argue that Ra.One isn’t as bad as some people are making it out to be. If you watch it as any other children’s film, you will not trash it as much as you do it now. In fact you will appreciate SRK for spending so much on a children’s film. The VFX is better than any of the Bollywood films. The action is not juvenile, though watching the romance king SRK in a superhero’s garb is! 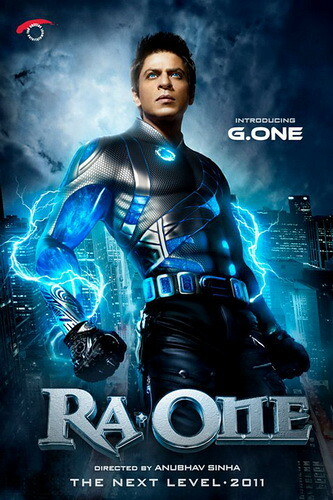 Ra.One is undoubtedly a film that takes the use of visual effects in Bollywood cinema to another level. The songs are good (a must for Hindi films), SRK and Kareena have acted their parts well and Arjun Rampal impresses in his “cameo” as the main antagonist Ra.One. Several of these pluses helped Ra.One sell its satellite rights for 35 crore and distribution rights in excess of 77 crore. The holiday weekend ensured that Ra.One garnered enough to stay afloat solidly at the BO. On what basis, then, should we trash SRK’s dream project? Mr. Bharat was an enterprising young man who decided to one day open a multi-cuisine restaurant called "Little India" in his home town. The restaurant opened to a rapturous welcome from the local people. He hired staff to care of the guests coming in. 10 waiters to take care of the 30 tables, a team of three chefs, a manager and two security guards. Business started to grow and there was a steady stream of guests daily to the restaurant. Within a short span of time, the restaurant became famous in the whole city. Pathetic may be a small word to define the despicable act of covering up for the failure of State and Central machineries in the recent Mumbai blasts. But who cares! Mumbai’s resilience and ability to fight back may be spoken of but do the people really have an option besides picking up from where life and its uncertainties left them on the dark evening of 13th July? India’s restraint is being talked about in international media but truly speaking it is not an option that the State is exercising but a compulsion. An honest man doesn't become an able leader by default. One of the biggest living examples of that has to be our Prime Minister. Manmohan Singh seems a bit too frail and powerless for a guy with a 20 year long political career (during which he never faced a public election) with stints as the Finance Minister and the Prime Minister of a country. He recently was on air to lay the onus of inept governance on coalition politics. He said that compulsions arising out of coalition politics had tied him down badly and were impeding his fight against corruption. All this came a CWG, Adarsh, IPL-Kochi fiasco, 2-G and Devas later! My first memories of Laloo take me back to watching him ride a bicycle to the Bihar Vidhan Sabha during the Iraq-Kuwait War. I remember Dad saying that this may just be the recipe that Bihar wanted. 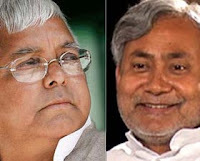 A poor man’s son who started his politics with JP could re-write Bihar’s destiny. No one could gauge that it could be a gimmick until seven years later, when he rode a cycle rickshaw to the court. The image of a simple young man with a purpose was replaced by that of a shrewd, plump looking middle aged man who had perfected the art of playing to the gallery.